What a great way to spend a sunny afternoon in Little Venice – taking beautiful pictures for my lovely clients Emma and Sean. I love shooting engagement pictures. It’s a great way for helping people relax about their wedding photography. 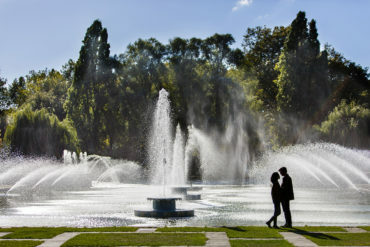 When I shoot, I don’t want the images to be some kind of surprise for the couple. I like to make them part of the process, so I shoot and show the images as we go along. Subtle changes in body position, where to put your hands and feet can all have a big impact on the final picture. So the shoot is sometimes a work in progress. Learning what works for them and making them feel more confident is just as important for me as stunning images! The evening was perfect. Beautiful light and warm. We wandered around Rembrandt gardens before taking a walk along the canal. Emma and Sean were fab to work with and I’m super excited about shooting their wedding at Botleys Mansion in October! 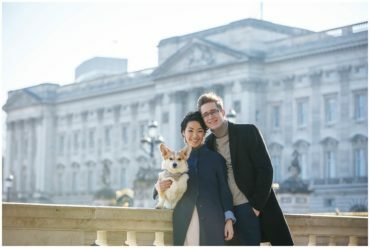 Here are some of my favourite Engagement Pictures London…. It was my first time shooting an engagement around Little Venice – what a lovely little pocket of London it is. The roses in Rembrandt gardens were so pretty! I used them to shoot through and frame Emma and Sean. The colours were just beautiful. I love shooting at this time of night. the light is so flattering. Who would have thought we were in the middle of London. It was so peaceful here. If you are thinking about having an London engagement shoot with me, please get in touch to discuss the options.